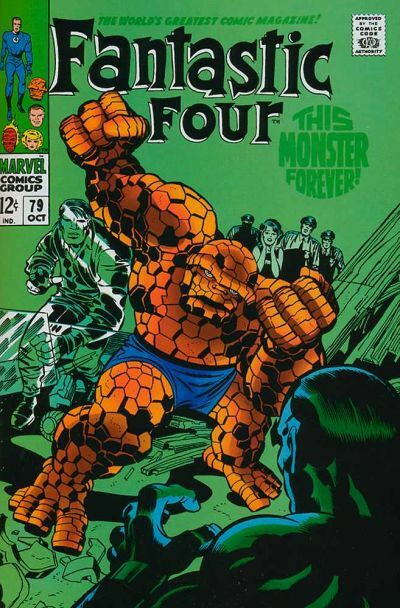 The consensus is that the new movie is giant pile of Fin Fang Foom. 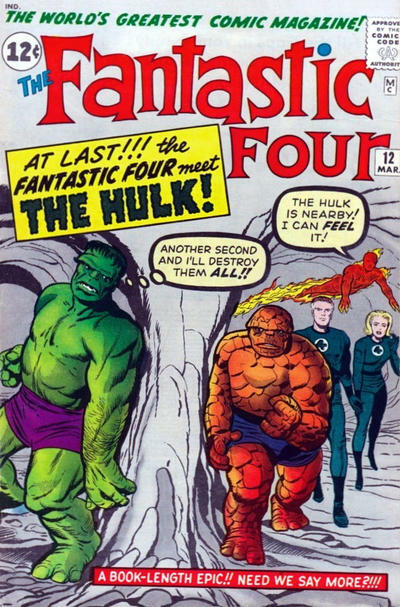 So we’re going back to the beginning for some refreshment. 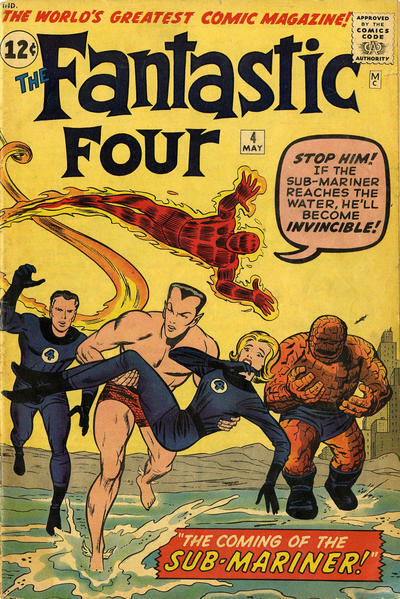 I freely admit that the Fantastic Four isn’t my first choice in comics. 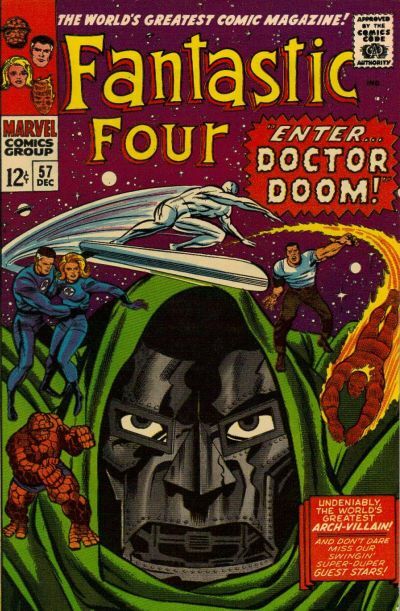 Or even Marvel Comics. 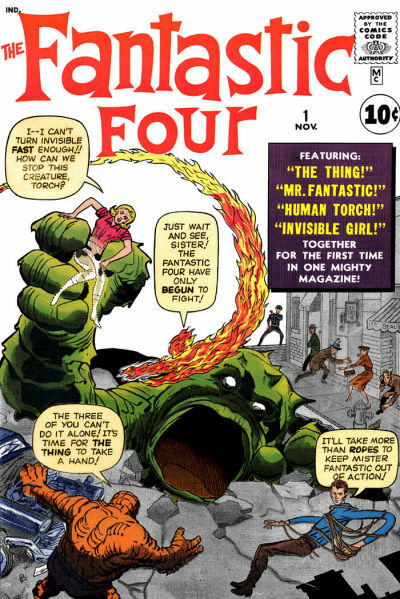 Or even Marvel team comics. 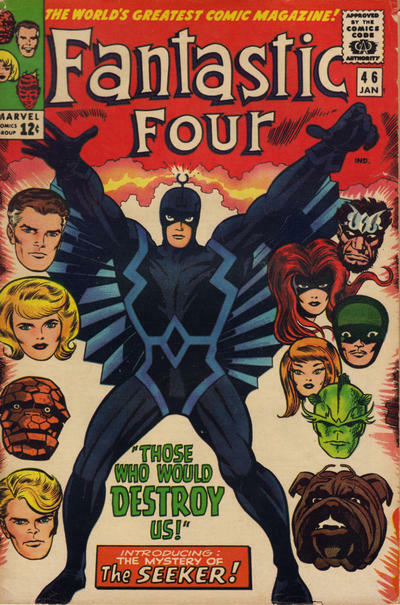 But who can’t appreciate Jack Kirby? So for all you angry and anxious FF fans out there, here’s an antidote in 13 doses. Oh, and this weekend we’ll double down (quadruple down?) with a second set of awesome from other artists. Thanks to GCD for the images! 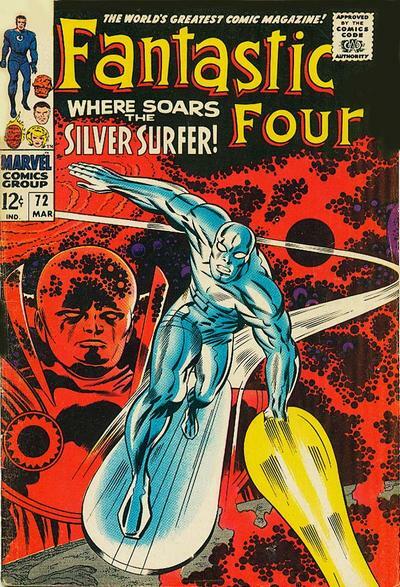 That Silver Surfer image on # 72 is my all time favorite art of that character. 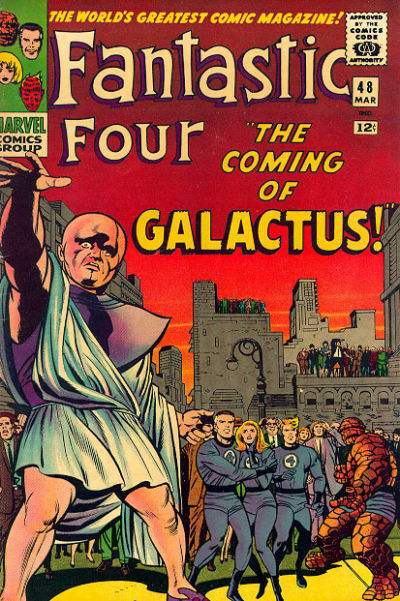 I always thought the Watcher on issue # 48, though, looked like Elmer Fudd. 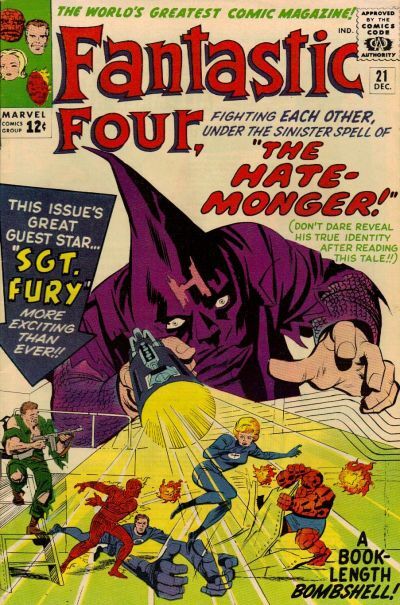 He may look like Elmer Fudd on the cover of #48, but it’s one of the most moving covers ever! Some great choices which i would agree with. I might change several of them too. 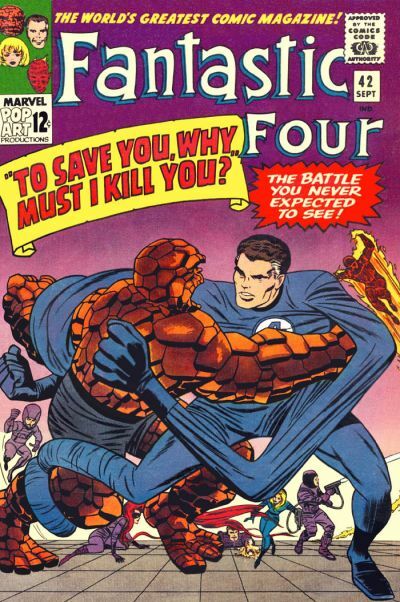 There are so many great Kirby covers to choose from.Jack had a magic touch and a real sense of drama.Marvel never got that back , ever…after the 1960’s. 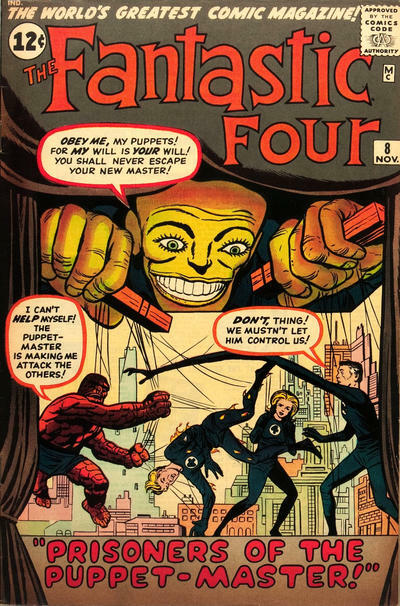 It was the same with Steve Ditko when he left Spider-man and Doctor Strange.. Sure there were some excellent artists that followed , but no one produced this kind of weird and magical work. 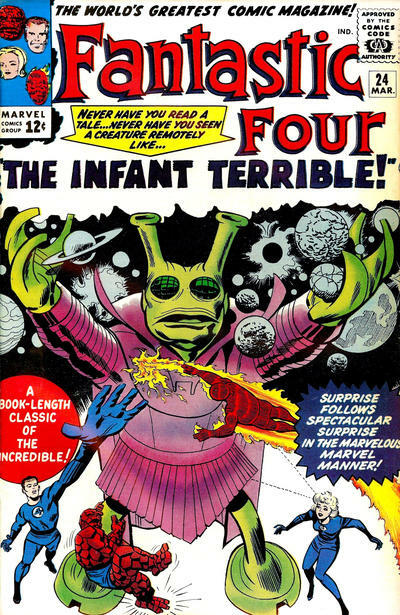 Why can’t the film-makers just look at this stuff and learn from it? 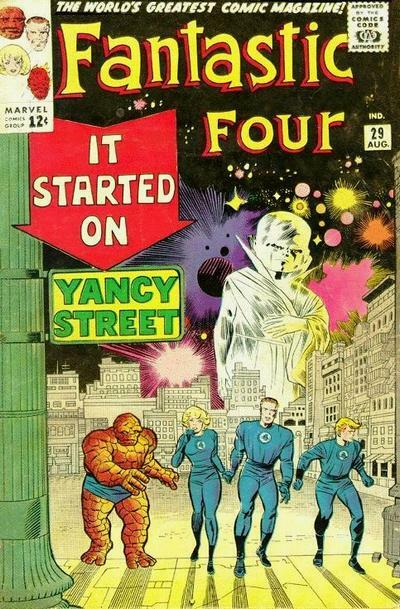 It’s all there in front of them .i think they touched on it a bit in the fight scenes in that first Avengers movie..that felt like Kirby.So far they seem to have had three attempts at a Fantastic Four movie without seeing the magic that Jack put into the strip…the magic that originally made it a success.